The kidney section, colorful and anatomically accurate, model depicts a longitudinal section of the human right kidney. 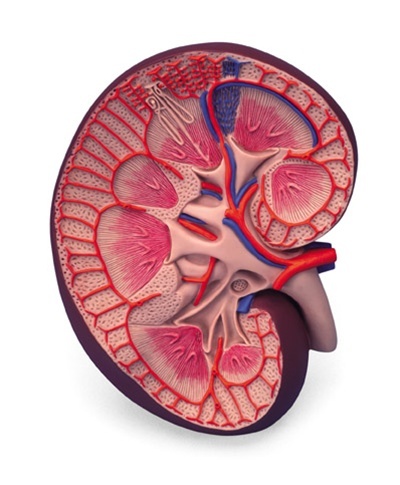 All important structures of the human kidney for student and patient education are shown. The kidney is three times life size. No baseboard included with the basic kidney section.